Mummy Ate Me: Dear God, Thank you that all the dinosaurs are dead. Amen. 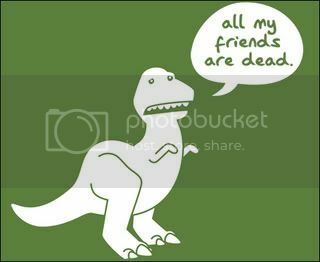 Dear God, Thank you that all the dinosaurs are dead. Amen. Every night Wild Man and I stop and talk about all the things that we are grateful for. We turn the lights off and lie on his bed together, sharing the pillow, and whisper about our happy family and lovely friends, how lucky we are to be healthy and to have enough food and clothes. For us it is praying but it doesn't have to be. Whatever your religious beliefs, it is nice to take five minutes at the end of each day and talk to your children about all the good things. Wild Man tells me what he is grateful for and what made him happy that day, and then it is my turn. I don't want to overload my kids with the world's problems but I do want them to appreciate how lucky they are so we also talk a little bit about people who are hungry or cold or sick or scared. I hope that learning to recognise that, even on a bad day, life is still full of reasons to be grateful and happy will help my kids be resilient through whatever life throws at them. The phrase 'first world problem' comes up a lot at the moment and I love it. When I don't have time for a coffee or I can't find a parking space thinking 'first world problem' really takes the wind out of my irritated, sleep deprived sails! But someone very wise once said to me that no matter how minor it seems compared to war and starvation, the worst thing that has ever happened to you is still the worst thing that has ever happened to you and it is OK to be upset. So although most of my kids problems are very definitely first world problems they are still problems and there will come a time when they will feel overwhelming. I hope that taking the time to stop in the midst of our crazy, privileged life and think about all the good things will help them (and me) on the overwhelming days. For Wild Man his reason to be grateful is the same every single night (he's a simple chap). Do you take time to reflect on the good things with your kids? My kids say a prayer every night that the foxes don't eat the chickens, and that spiders don't get in the house. They also say 'thank you for the starving people in Africa" - they mean please look after them! They say some funny things. I second that Wild Man! Haha, that is too cute! And it's true, there is no greater problem in the world than the one you're going through.